Connect with MALINDA via Chat or Text with our quick buttons. Call 513-245-4100 or email – we’ve got a BUNCH of great workshops coming up. We’d love to help you capture amazing photos THE EASY WAY! SIGN UP for our VIP List for exclusive specials! Learn Your SLR Camera Beyond Auto – Quick & EASY! 1 to 1, friends, or custom groups, lessons are designed for your personal experience and gear. Our favorite spots are Winton Woods or our nearby Studio, Glenwood Gardens, & the village square in Glendale. Or add travel for a small fee. Scott Kelby’s World Wide Photo Walk 2017 – Sunrise on the Ohio – We’ll be exploring Cincinnati’s riverfront in Yeatman’s Cove & Sawyer Point Parks. We’ll meet at 6:30am and finish by 9am. I'm Malinda Hartong, Freelance Photojournalist and I've been documenting life behind glass for several decades. Glenn Hartong, my husband (Photojournalism Instructor with 27 years news experience), and I LOVE shooting, as well as sharing our extensive knowledge with all ages, experience levels. We keep it SIMPLE! Private Lessons are available 6 days/week, various hours based on time of year and schedule. Any age. Absolute Beginner to Aspiring Pro. All Photography, Mac topics, from simple basics to iPhone to advanced studio lighting, studio and posing to editing. Virtual Lessons also available anywhere in the US via phone or computer. Choose a package of 2 or 3 lessons and save! Gift Certificates for Camera Lessons make amazing gifts for any age. A gift that keeps giving with amazing photos as a result. HeadShots in addition to Freelance Photojournalism, Portraits, Photo and Video for your business. Locations: Our studio is near Winton Woods. Our favorite locations for Lessons are Winton Lake, Glenwood Gardens, Glendale, and our studio, but we're available for travel. 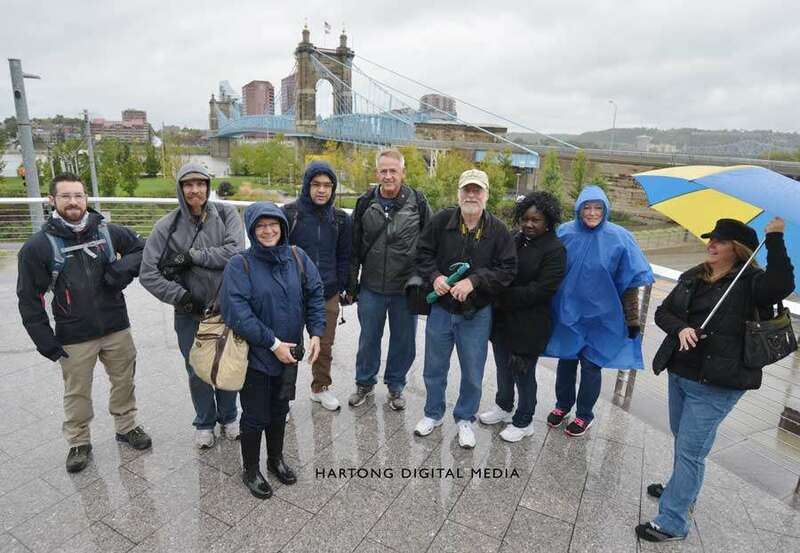 Monthly Photo Walks: Join us monthly for My Great Park in Pictures, partnering with Great Parks of Hamilton County, and exploring with any camera, iPhone to SLR. Beginners welcome. Free with parks vehicle sticker. If you encounter any problems here, please contact Malinda - we do our own website - THANKS! Contact Malinda. Please let us know if you have questions or class requests! Best way to reach us is chat, text, or email as we're frequently in lessons 513-245-4100. We look forward to helping you make amazing photos!